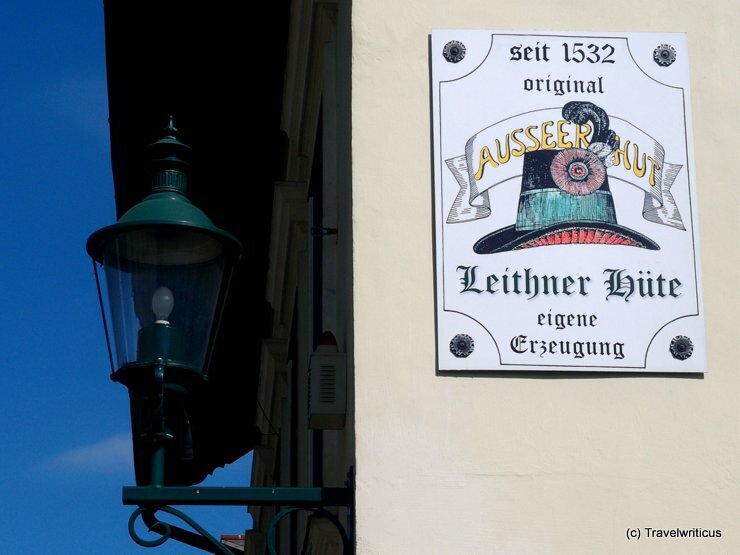 This shop sign of a hatter shows the traditional gentleman’s hat worn in the Ausseerland area also known as Ausseerhut. 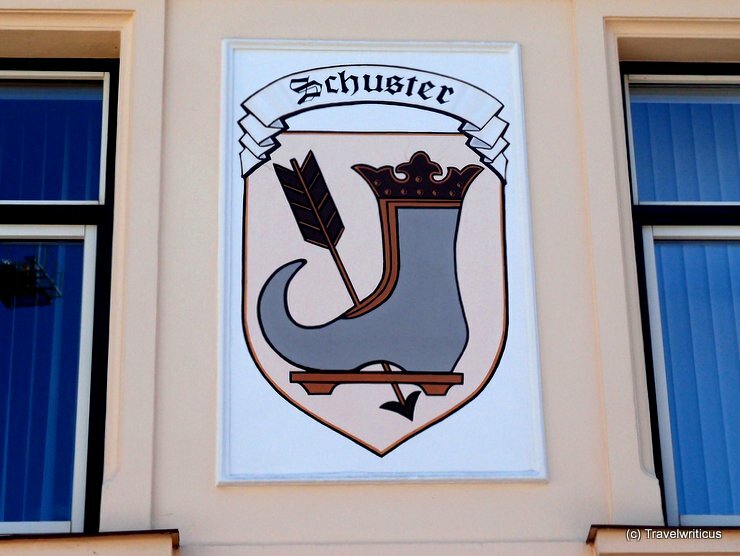 Shop sign of a textile manufacturer who is specialized in hand block printing. This technique uses a block made of wood (Model) for imprinting patterns on textiles. 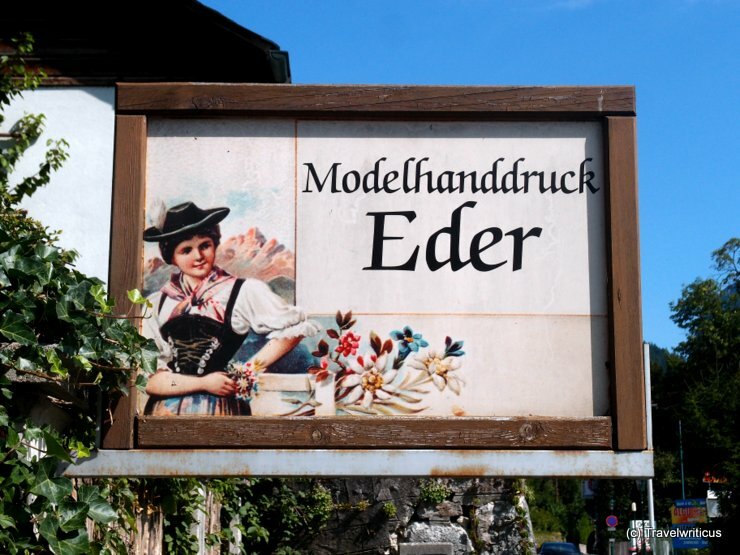 This entry was posted in Signs and tagged Austria, Bad Aussee, Styria by Travelwriticus. Bookmark the permalink.